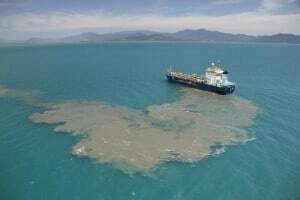 Cairns and Far North Environment Centre (CAFNEC) is today drawing attention to a new report presenting evidence for what many of us know – The Great Barrier Reef (GBR) environmental health matters to locals and tourists, especially in the Far North. This report is well timed in the context of the major Cairns Port dredging proposal, other local threats to reef health and a looming State election. Notably the study concludes that residents in the north region of the GBR catchment value preservation of the environment for future generations even more than their southern counterparts. The study entitled: ‘The Great Barrier Reef World Heritage Area (GBRWHA): its ‘value’ to residents and tourists, and the effect of world prices on it’* has produced a number of findings confirming the importance of protecting the GBR. *Stoeckl, N., Farr, M., Jarvis, D., Larson, S., Esparon, M., Sakata, H., Chaiechi, T., Lui, H., Brodie, J., Lewis, S., Mustika, P., Adams, V., Chacon, A., Bos, M., Pressey, B., Kubiszewski, I., Costanza, B. (2014). The Great Barrier Reef World Heritage Area: its ‘value’ to residents and tourists Project 10-2 Socioeconomic systems and reef resilience. Final Report to the National Environmental Research Program. Reef and Rainforest Research Centre Limited, Cairns (68pp.). Published by the Reef and Rainforest Research Centre on behalf of the Australian Government’s National Environmental Research Program (NERP) Tropical Ecosystems (TE) Hub.